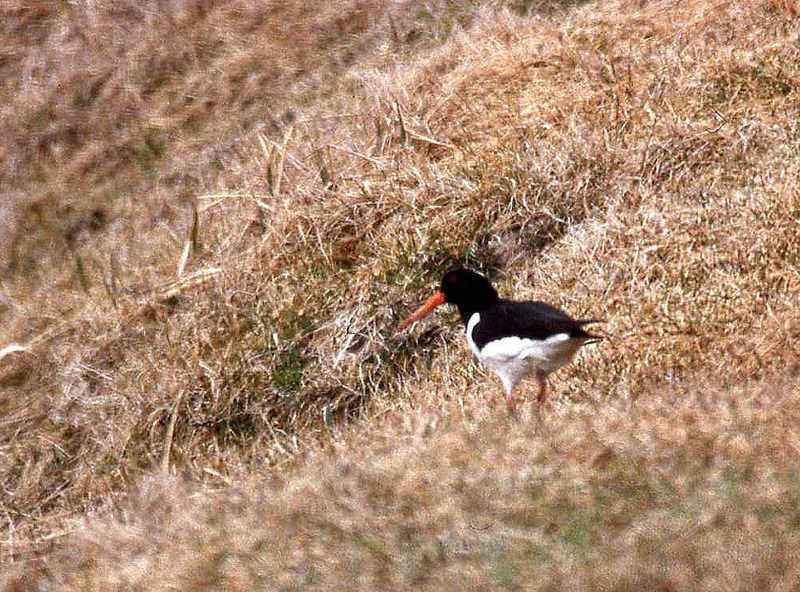 This Eurasian Oystercatcher was first discovered at Easport, Bonavista Bay on April 3, 1999 and stayed for several weeks. It was the second record for Newfoundland and North America. Origins: The “old world” counterpart of American Oystercatcher, this species is widespread across much of Europe, Asia and Africa and breeds commonly in Iceland. Record Details: Three records for Newfoundland: (1) Tors Cove, May 22-25, 1995; (2) Eastport (Bonavista Bay), April 3 – May 2, 1999; and (3) St. John’s, August 5, 2006 (identified from a photograph). The only other North American record occurred on Buldir Island, Alaska (Western Aleutians) in May 2012.